construction and property management industries. 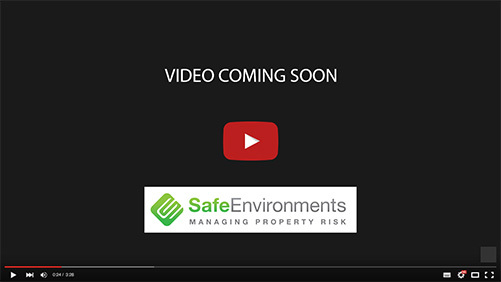 Established in 2006 by Carl Strautins, Safe Environments provides a number of services for clients Australia-wide, including slip testing, asbestos and hazardous materials testing, expert risk assessments and advice across a range of occupational health and safety services. Our team of experts specialise in hazardous building materials, ergonomics, occupational hygiene and workplace health and safety. We pride ourselves in delivering innovative and pragmatic solutions to ensure our clients’ safety and compliance. Safe Environments is accredited by the National Association of Testing Authorities (NATA) to AS ISO/IEC 17020 for Asbestos and Hazardous Building Material inspections and AS ISO/IEC 17025 for asbestos testing, asbestos air monitoring, slip resistance testing and pendulum calibrations as detailed in the Scopes of Accreditation for No. 17139.